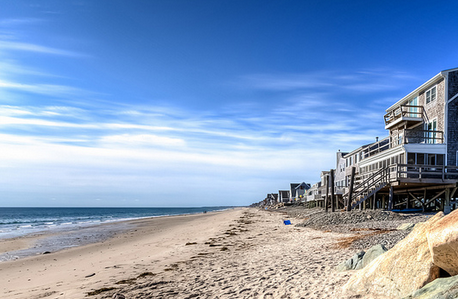 Search homes in Stone Harbor, Avalon and all of Cape May County. The combination of sun, sand and sea allows a person to relax and unwind. A person who opts to live near a beach can take advantage of the health benefits that accompany it. The sea air contains healthy negative ions. These increase the ability to absorb oxygen and balance the level of serotonin that affects mood, allowing a person to sleep more soundly. A person who lives near a beach should take advantage of the sea. Saltwater helps relieve pain, heals wounds and infections, and helps remove toxins by opening up the pores. A little sun is always good for the skin. The sun is beneficial to people with skin conditions, can help improve the immune system and helps the endocrine system produce endorphins, or ‘happy hormones’. Living near a beach allows a person to relax better and reap the healthy benefits. If you want to purchase a beachfront home, Steve Frame can help you find a great home.